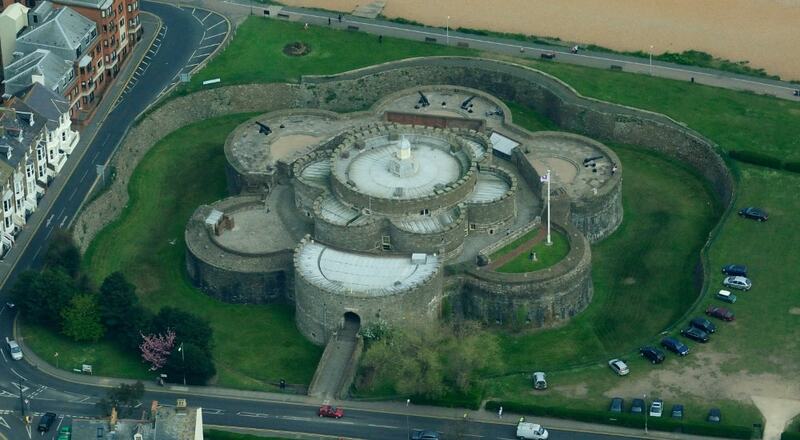 Deal Castle is an artillery fort constructed by Henry VIII between 1539 and 1540. It formed part of the King's Device programme to protect against invasion from France and the Holy Roman Empire, and defended the strategically important Downs anchorage off the English coast. The castle was restored by the government during the 1950s to form a tourist attraction. In the 21st century, Deal Castle is operated by English Heritage, receiving 25,256 visitors in 2008.